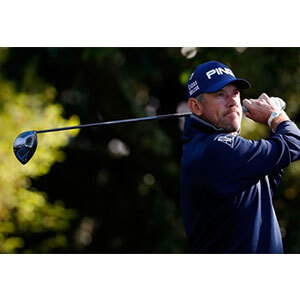 Lee Westwood says he hasn’t lost any sleep over never having won a major title in his career, but victory at the Open Championship this week would certainly brighten his mood. Westwood came within a whisker of winning in 2009 at Turnberry and then again at Muirfield in 2013 – making him arguably the finest golfer to never etch his name in the annals of past champions. When pressed for his opinion about which event loss hurt more, and it seems very difficult to draw any frustration from such a cool and collected individual, Westwood’s response was rather detailed. He said: “Turnberry, certainly. It feels more than any of them like the one that got away. If I hadn’t three-putted that last hole, I was in the play-off. He added: “I hit a really good shot into the 15th that got unlucky with a bounce. I hit a good putt on the 16th that deserved to go in, 17th the same for eagle. On the 18th I three-putted after a shot out of a bunker that was probably the best shot I have ever hit. To do what I did from there was disappointing. This week mark’s Westwood’s 74th attempt at winning a major, the only accolade still evading the former World. No.1 Englishman. “I would love to win one, don’t get me wrong,” he said. “I would love to win two or three – but it is not something I lose any sleep over. I honestly don’t think much about it. I would be delighted to win at the Open Championship because I have come close a few times but it doesn’t cross my mind what it would feel like. There is more to life than golf; it is only a game.